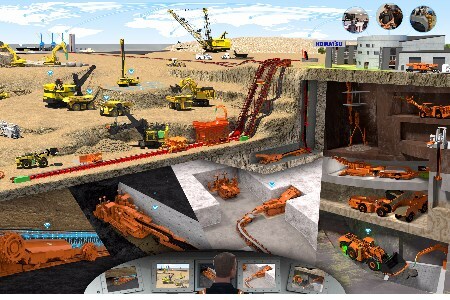 Komatsu America Corp., a subsidiary of Komatsu Ltd, has completed its acquisition of Joy Global Inc., a worldwide leader in high-productivity mining solutions. Retaining its headquarters in Milwaukee, WI, Joy Global. will be renamed Komatsu Mining Corp. and operate as a subsidiary of Komatsu. The company will continue to promote and invest in the P&H, Joy and Montabert product brands. Komatsu remains committed to directly servicing the global mining industry and through its products, services and technologies is focused on helping customers improve productivity and safety in their operations worldwide. The close of the transaction adds to the Komatsu team more than 10 000 people with deep knowledge and experience in the mining industry, bringing the company’s global total to more than 57 000 employees. With a focus on providing uninterrupted and unrivaled service and products for its customers, Komatsu plans to leverage the best practices of both companies while aligning the organization and operation for optimal customer support. Komatsu Mining Corp. will be led by Jeffrey Dawes, formerly leader of Komatsu Latin America. Dawes and the management team will be based in Milwaukee, WI. Following the close of the transaction – valued at approximately US$3.7 billion, including Joy Global’s outstanding indebtedness – Joy Global shares will be delisted from the NYSE and will no longer be publicly traded.